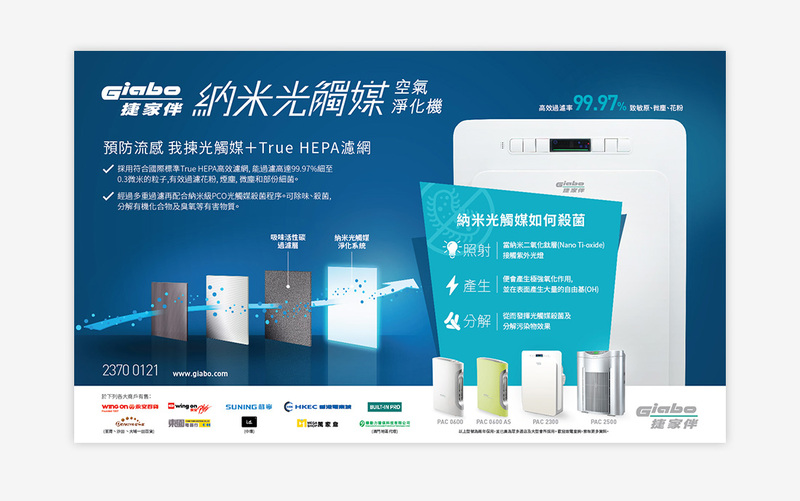 Giabo is owned by Chiap Hua International Ltd, one for the world's leading manufacturers of household appliances, power tools, cookware and healthcare products. 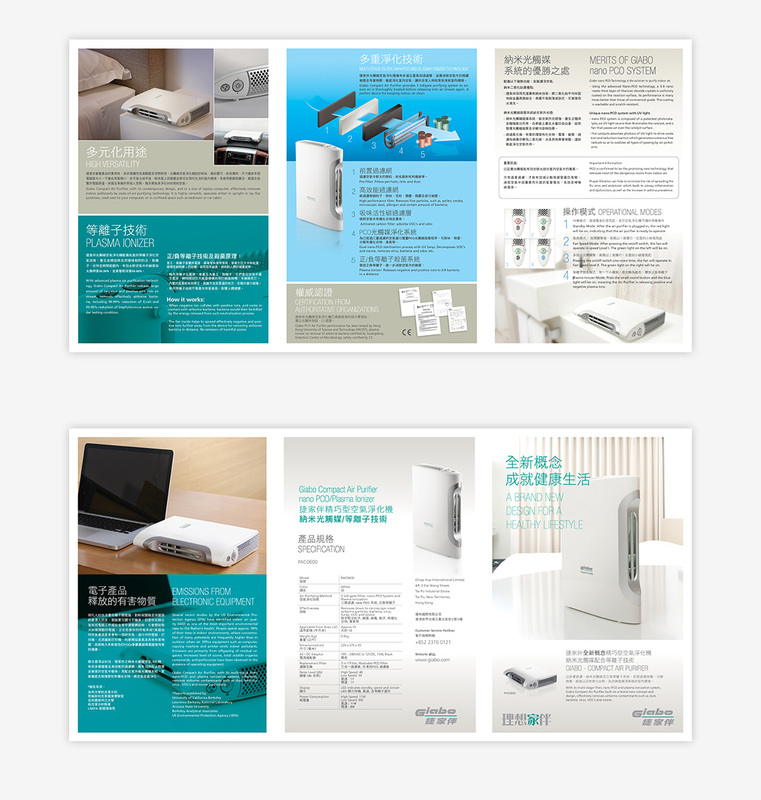 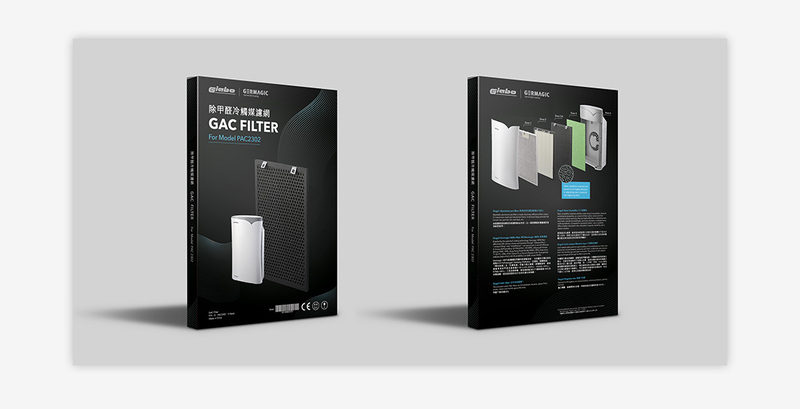 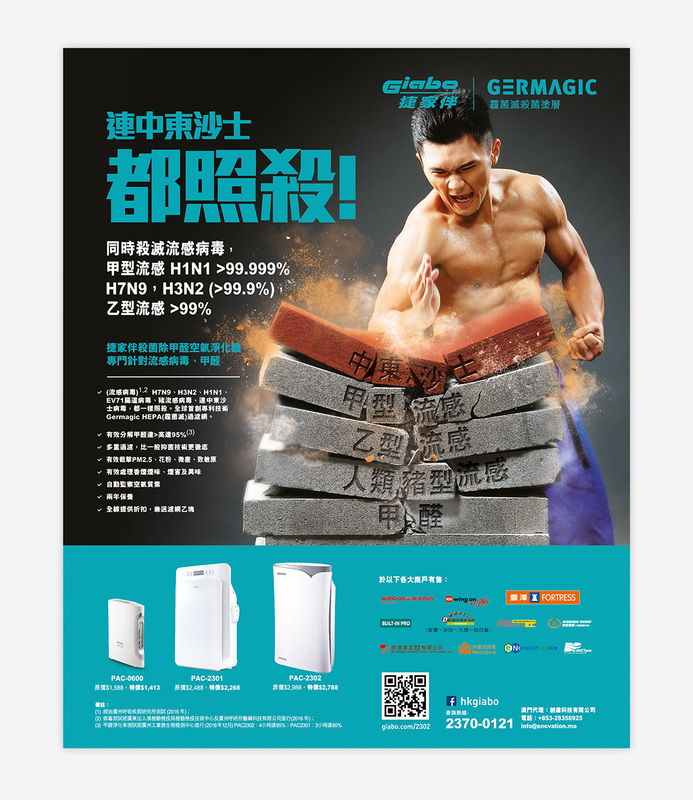 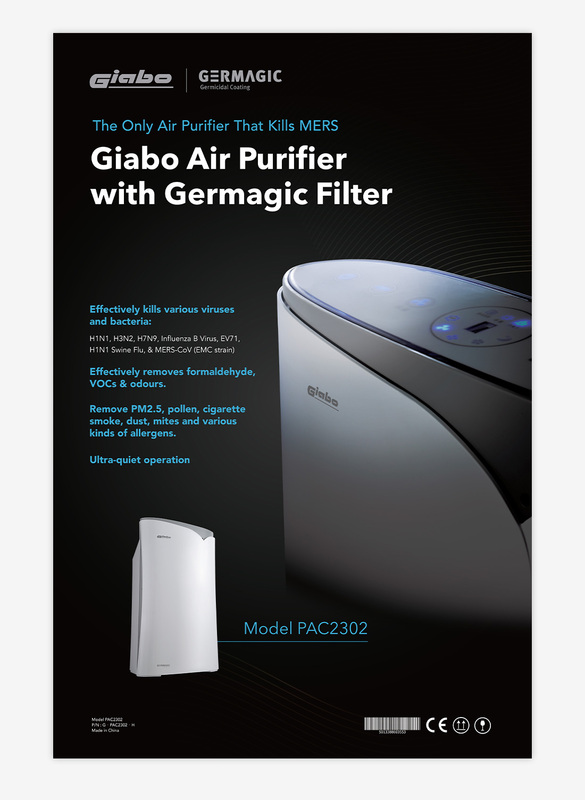 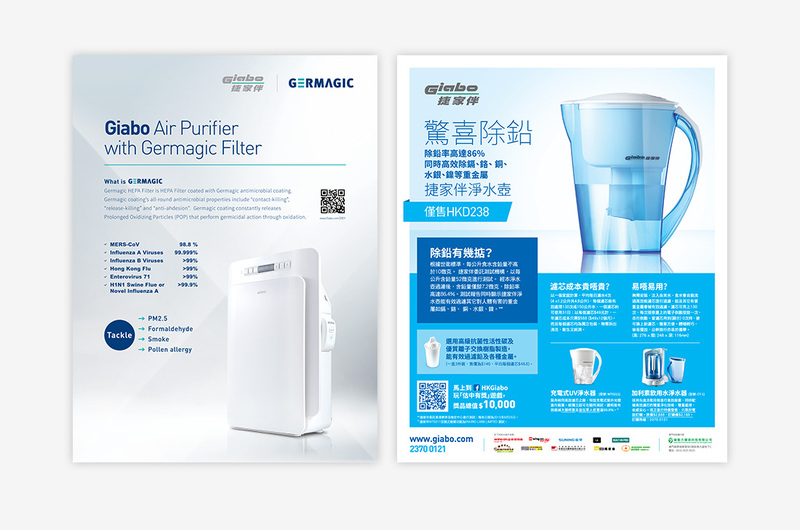 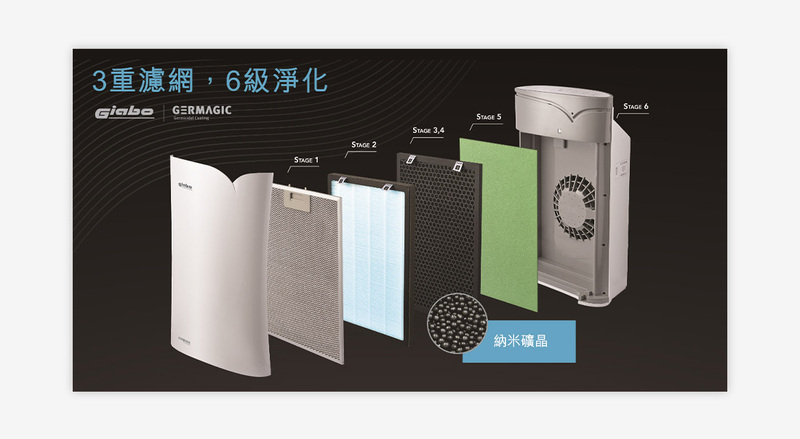 We designed different advertising materials for Giabo to promote their Air Purifier in multiple channels. 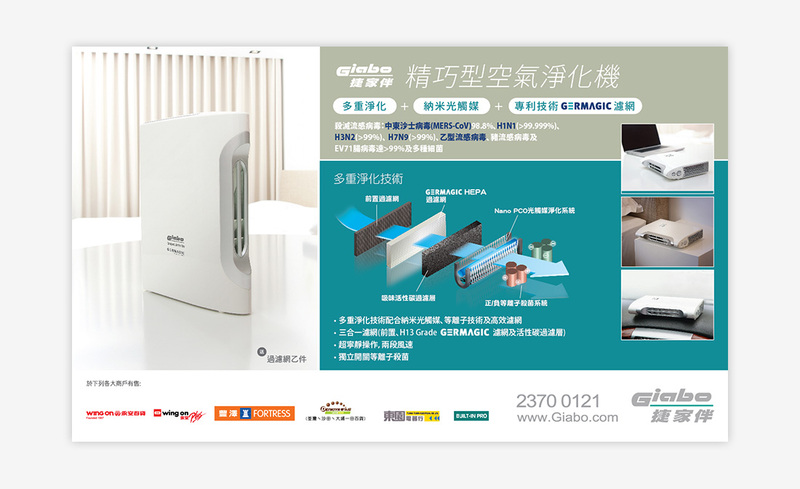 We started by considering what the unique selling points were and determined the positioning of this household appliance, then we developed the suitable concepts and art direction to promote the uniqueness and function of its products.